Blogging is maybe one of the best things that has ever happened to my life. Its coming is just perfect especially during the time when I was pregnant, out of work and feeling unproductive while starting my career as a full-time homemaker in 2010. 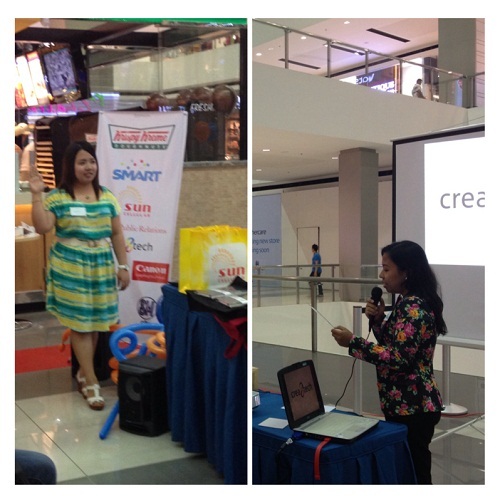 Thanks to Ate Claire who have introduced me to the amazing world of blogging. At first, I started blogging to ease away boredom since I am not really used to just sit down without doing anything at home but later on as I continuously update my blog and met a lot of friends online, I have realized that there is so much more to blogging than just a mere pastime. My blogging life has become even more exciting when my friend Floraine added me to the Davao Bloggers Group on Facebook last 2011. Even with the several events that I have attended in the past, I was hesitant to become an official member then because I thought that it won’t make any difference at all considering that I can still get to attend events even if I am not an official member. 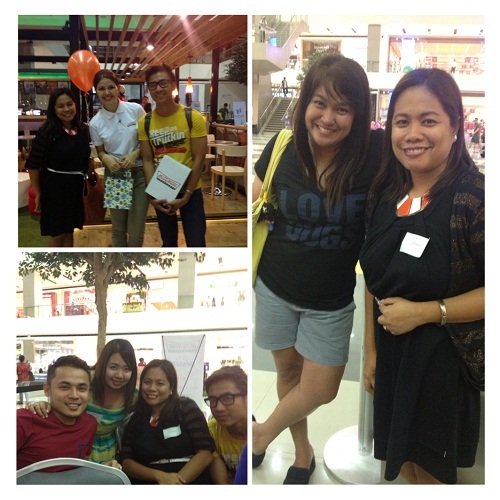 But I suddenly have a change of mind and heart when I attended the Blog Weekend Bootcamp last September 2012. Before the bootcamp ended, I made sure to pay the registration fee and be one of the dignified official members of the Davao Bloggers Society. Hooray! And when I was finally inducted as one of the newest official members of the Davao Bloggers Society during the Acquaintance Party last May 3, 2013, I can’t help but be proud of myself. Hehehe. I know that being an official member entails a lot of responsibility and I am so grateful for the effort of the founders and officers of the DB Society for consistently reminding their members to act with decorum especially during events. Thank you Sir Mark Cabrera for presenting the Bloggers Manifesto that serves as the guiding principle for every DB member. DB President Ms. Dulce Lada and Ms. Algene Cutamora taking her oath as the newest Officer of the group. Thank you for accommodating us KK SMLP and Ms. Nadia Shami and staff. 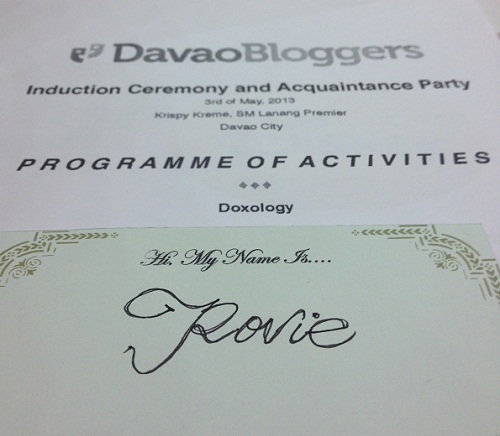 I appreciate the fact that it actually pays to be an official member of the Davao Bloggers Society. 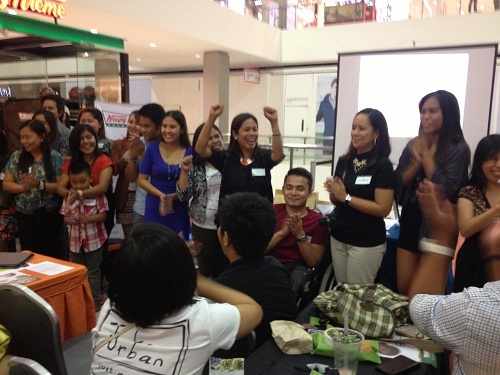 Being recognized as a certified member of the premier group of Bloggers in Mindanao is already an achievement. Aside from the perks and the recognition, it is very overwhelming to know that I belong to the community of smart and talented people. What’s even more rewarding of all is the fact that I have developed a profound friendship with the positive people in the group wherein I always feel like I am in the right place every time I attend blogging events and other activities of the group. After almost three years in the world of blogging, I can proudly say that I have not only become productive but most importantly, I have found the perfect realm for me to grow and strive to become a better version of me as a mother, wife, woman, and as an individual with a purpose. Photo Courtesy of Sir Ace and Mommy Crislyn. Congratulations to all the officers and members of the Davao Bloggers Society for the success of the Acquaintance Party! Cheers to more years of fruitful blogging life! well said Mommy kahit tinira mo handwriting ko! may pangshopping naman tayo! Yuhhhhoooo!!!! I feel you Teh! And I am proud of you! It feels good to have that sense of belonging whenever you join a certain community. The feeling where you feel at home and at ease with each and every member adds up to the perks that you enjoy being a blogger. It indeed makes blogging colorful and meaningful. Way to go! Thank you very much po Ma'am Jojie. It such an honor to be visited by you. I'm really looking forward to see you and have another photo op with you in the coming events. Salamat po for being an inspiration. Hahaha! Ganda kaya at napaka poweful ng handwriting mo ah. Yun ang nagpa panalo sa group natin. Thank you very much Teh. I know how busy you are right now and I wish I would be able to help in anyway. Praying for the success of your upcoming big day! That's one thing that bloggers in the Philippines that we don't have it here at Uncle Sam. I mean, there are events for bloggers too but nothing can beat the Filipino get together, you know what I mean? Lovely photos sis Rovie. Bongga baya jud inyo table ate kay mao jud nadaog sa trivia! 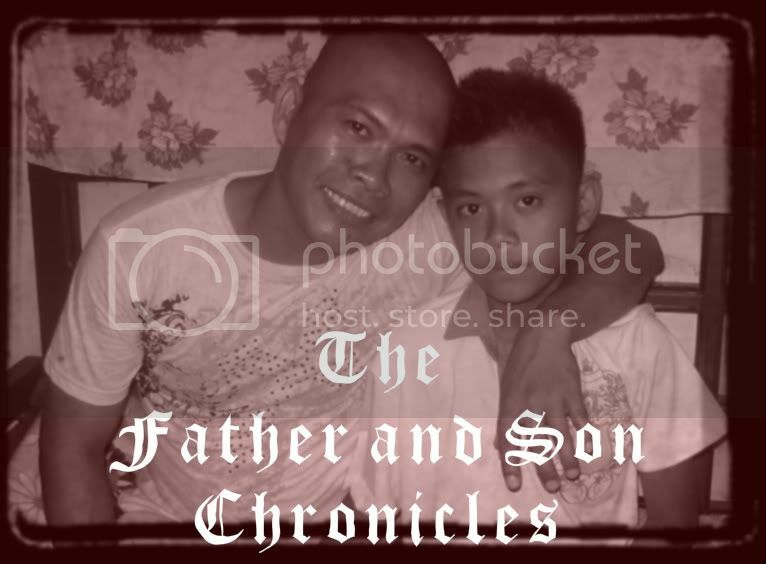 Haha Thank you sa pag-apil sa akong photo diri. LOL It was a great event! Congrats DB! What a blogging home you have. Sana my Manila bloggers group din, Meron nga ba. siguro hindi lang ako sinali..LOL Ayaw ata nila comedy roon. Cheers!!! Ang galing ninyong lahat. This event you have made will inspire more bloggers. I can relate with the first paragraph -Yes, there's more to blogging other than sharing our thoughts, our rants and documenting our life. Let's cheers to more of what the blogging world has to offer us. 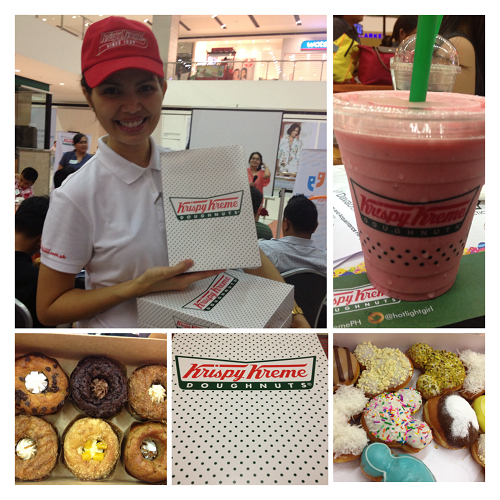 Ikaw na ang pinaka-happy Mommy. May ebidensya talaga.hahaha. It's great to be around with positive peeps like you. More positive vibes for us. 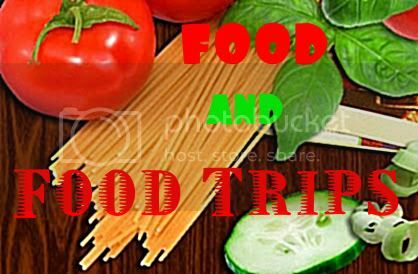 More bonding moments and food trips! .....blogger na blogger na talaga ang peg mo...ikaw na!